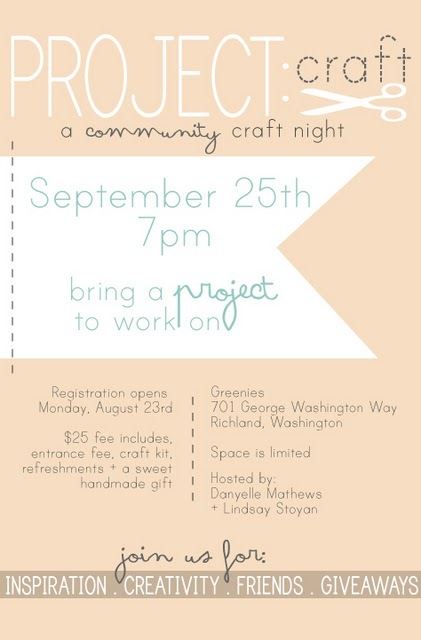 My friends Danyelle and Lindsay have been brewing up some great ideas and are offering anyone locally who would like to get together for a craft night to join us. The event will be held at Greenies in Richland on September 25th. If you are near the Tri-Cities, Washington, come on out! Be sure to sign up on Monday, the 23rd, because space is limited. Hope to see you there!